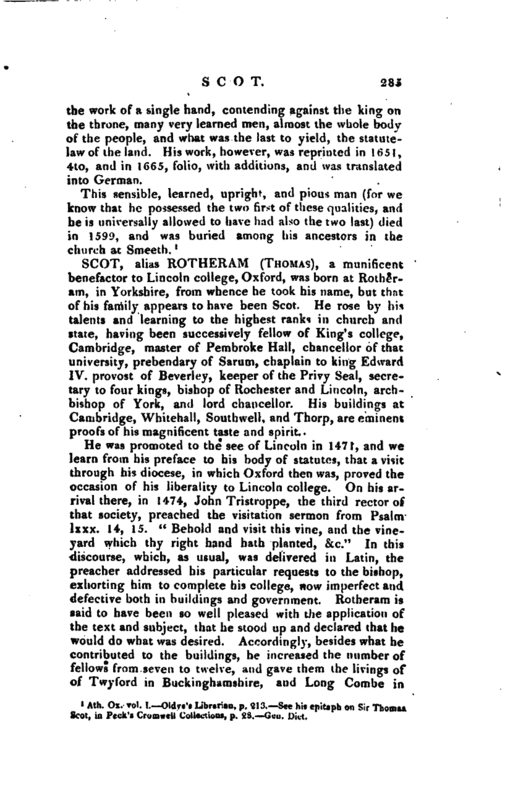 , alias Rotheram (Thomas), a munificent benefactor to Lincoln college, Oxford, was born at Rotheram, in Yorkshire, from whence he took his name, but that of his family appears to have been Scot. He rose by his talents and learning to the highest ranks in church and state, having been successively fellow of King’s college, Cambridge, master of Pembroke Hall, chancellor of that university, prebendary of Sarum, chaplain to king Edward IV. provost of Beverley, keeper of the Privy Seal, secretary to four kings, bishop of Rochester and Lincoln, archbishop of York, and lord chancellor. His buildings at Cambridge, Whitehall, Southwell, and Thorp, are eminent proofs of his magnificent taste and spirit. Wood’s Colleges and Halls. 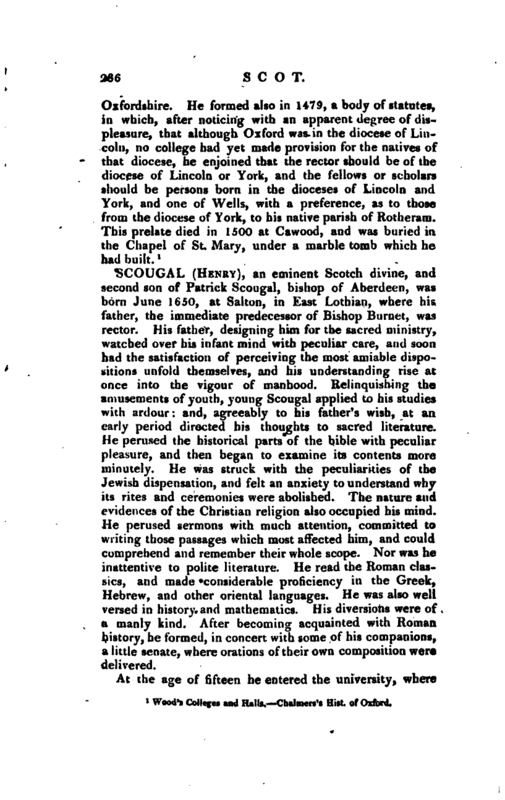 Chalmers’s Hist, of Oxford.